Every industry has terms and definitions that are specific to that industry, and the building industry is no exception. These Building Regulation definitions form part of the National Building Regulations and Building Standards Act (Act 103 of 1977 that has been amended several times, most recently in 2008). Note that every individual Standard in SANS 10400, which form a body of knowledge that shows those in the industry how to apply the South African Building Regulations, has its own bank of definitions at the beginning of the Standard. Many of these are the same as those published as part of the legislation. All the individual Standards that form part of SANS 10400: The application of the National Building Regulations, also have a list of additional Standards (both South African and international) that are relevant to that part, and need to be taken into account during the building process. NOTE Accessibility is evaluated in terms of the safe, comfortable and convenient use of the site, building or facility by persons with disabilities. NOTE 1 Table C.1 outlines the difference in performance between category 1 buildings and other buildings that have the same occupancy designation in respect of a number of building attributes. NOTE 2 A building may be classified as a category 1 building for the purposes of one or more parts of SANS 10400. Additional limitations may accordingly be imposed on category 1 buildings. For example, a category 1 building in terms of SANS 10400-T (Fire protection) will be restricted to a single storey. NOTE 3 Fire requirements for category 1 buildings are based on occupants escaping quickly from buildings. The design population for occupancies as set out in table 2 of part A of the Regulations (see annex A) should therefore not be exceeded. “entrance” Any access point to a building or portion of a building or facility, used for the purposes of entering. NOTE An entrance includes the approach walk, thev ertical access leading to the entrance platform, the entrance platform itself, vestibule if provided, the entry door or gate, and the hardware of the entry door or gate. NOTE It is expressed on a scale of 0 to 100, with black being about 5 and white about 90. NOTE The means of access relates to the safety, comfortable and convenient use of both the building, site of buildings or building complex and the facilities within it for persons with disabilities. b) obstacles that unfairly limit or restrict persons with disabilities from enjoying the opportunities provided within a building or facility on equal terms with persons without disabilities. NOTE The failure to take steps to reasonably accommodate the needs of persons with disabilities within the building or facility can also be seen as a type of obstruction. “offset” The deviation of the flow in the vertical plane of the discharge stack. NOTE An offset in a discharge stack is normally accomplished with the use of two bends, the first to direct the flow from a vertical direction to a horizontal direction, and the second to direct the flow back to the vertical position (in the same flow direction). “zone of space” in relation to an opening in an external wall or a portion of such an opening, means a volume of open air outside such opening. You have every right to ask the seller for the plans – you can also see if the local authority has copies (they should have). 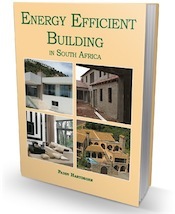 There is only one set of building regulations in SA – the National Building Regulations – although local by-laws also come into play, particularly when it comes to building lines. Your local authority should be able to give you info about by-laws. Can one build a bathroom on wood floor? Hi Anita, Yes you can. I self-built one of my houses with a wooden floor and had the ensuite bathroom on the wooden tongue-in-groove floor. What I had to do was to re-inforce (extra upright support beams) under the sections where the shower and the bath were. The floor of the shower was a concrete slab with the normal drain plug and the bath was a victorian cast iron bath so both of these were quite heavy. Today plastic and fibreglass units are much lighter. You must seal the timber extremly well so as to protect it from getting damp or letting any wet get through. I would like to build a grassroof lapa between 20 and 24 square metres, but dont know what all the regulations/rules are. Could you kindly furnish me with the regulations pertaining to distances, fire safety requirements, etc. Thanks in advance. Hi Charles, The requirements for each city/town in SA differs and the local bye-laws and zoning regulations are different for each as well. You do not say where you are so we will not be able to tell you for your area. The best is to contact your local council planning department and give them your erf number and suburb and size of your plot and they will be able to tell you. My neighbour living across a green zone (natural park, until she started demolishing parts of it for purposes of expanding her own garden) has recently erected very bright external lighting on the boundary wall and in her garden, “to limit crime in our area”. These lights are so bright I can read a book in my bedroom which is at least 30 meters away without additional lights being turned on in my bedroom. They are so bright that normal curtaining fails to darken the room, resulting in constant disturbance of sleep which has detrimentally impacted my health and that of my family. It has also disturbed the little bit of natural tranquility we still enjoyed from the park at night. The lights come on at dusk and remain at full brightness till the sun rises. Is there no regulation governing this type of intrusive behaviour, since common sense and regard for another’s wellbeing is seemingly beyond some people? If you are saying that this “green zone” does not belong to her, then you need to report what she has done to the local authority (presuming they own the land) and object to what she has done. We moved into our new house two weeks ago, and discovered that our neighbours pool and fish pond pipes is “flushing” into my backyard. I am aware that you cannot stop storm water but for swimming pools what is the regulation for that? Roellen the regulations regarding stormwater require an engineer to ensure that it is disposed of without undermining buildings etc. And a property owner cannot simply allow the water to drain onto a neighbour’s property. As far as swimming pool water is concerned, this is governed by local authority bylaws – specifically whether the water can be drained into the road and/or council stormwater drains. He/she cannot simply drain the water into your backyard. Contact the local authority for guidance on this issue. Please tell me what the legal distance is between a house and a sewage treatment plant. Also, if the plant must be inspected prior to operating and if it is allowed to flush untreated sewage into public roads. Ann unfortunately I am not certain about this. The location of a sewage treatment plant in an urban area will be governed by zoning by-laws. It would definitely though need to be inspected before it operates – there are stringent plumbing regulations that relate to sewage and I have no doubt there are regulations that relate to sewage treatment plants. They also would definitely not be permitted to flush untreated sewage onto (you say into? – do you mean down drains?) public roads or into open drains. That would be a health hazard. I have moved into a house that i had bought through the bank 1 year ago. I now decided to errect a work shop at the rear end of the house. What should the distance be between my wall of the errected structure and the neighbours wall be. if i have the option of not asking the neighbour to sighn and also if the nieghbour has to sighn .what should the distances be. I also had the inspectors from pretoria here and they checked and informed me that the i have a car port and a lapa build over the servitude line,and that it has to be removed .Whos responsibility should this be as i,ve bought the house with structures already built.The car port and the lapa has allways been there for many years,now why should it be my resposibility to remove it. Leslie your local authority has bylaws that specify allowable building lines from boundaries, so you will need to check with them. They are not all the same. You can download the Tshwane town planning scheme document here, there may be some other useful information in this. As far as the illegal structures are concerned, as the owner of the property it is your responsibility to remove them. You could try and sue the previous owner for costs because that person did not divulge that they were illegal. But this will involve legal (and possibly court) action. Treatment of external timber doors exposed to weather to ensure / prevent swelling of doors ? There is nothing in the National Building Regulations that governs this. Go to your local hardware store and buy a good sealer. Rubbol is a particularly good one! What are the regulations governing the Mezzanine floor with regards to fire rating and staircase design? Are you required to obtain plans when building a Mezz floor? Which local authorities will be required to inspect this once it is built? Pl . advise about siphonic drainage system for industrial buildings, suppliers/providers with their addresses.